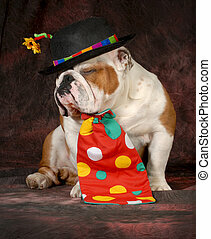 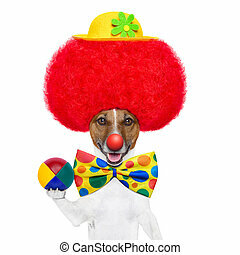 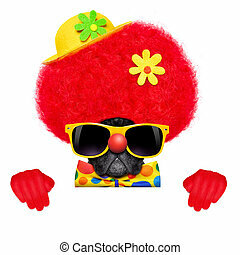 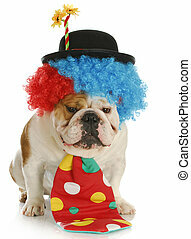 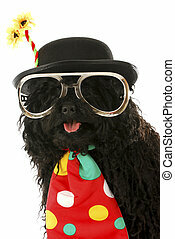 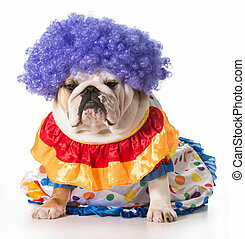 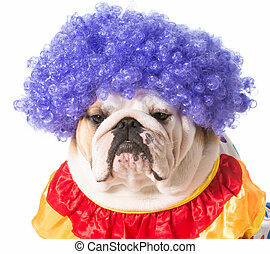 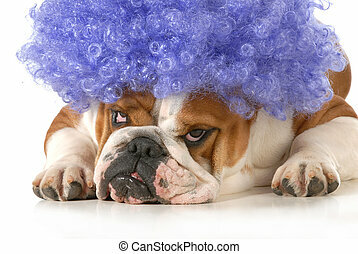 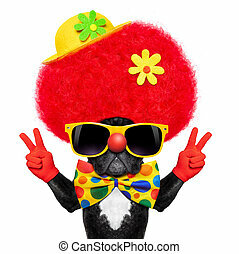 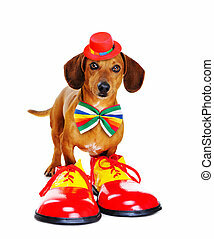 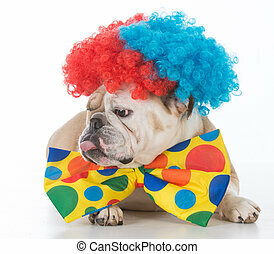 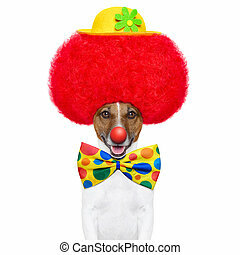 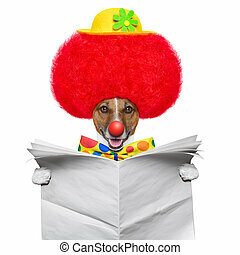 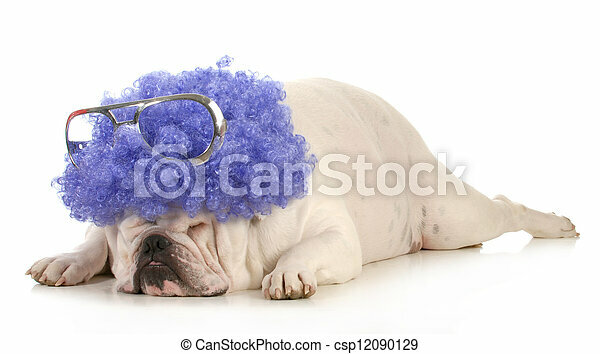 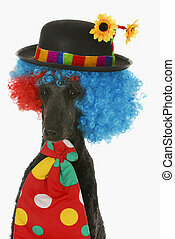 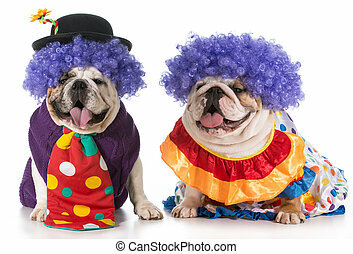 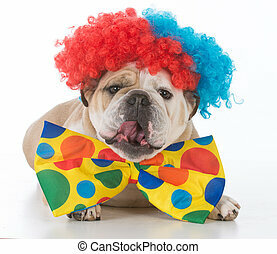 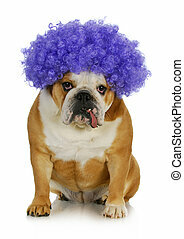 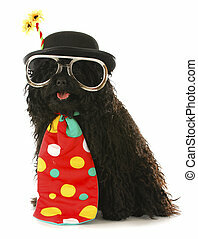 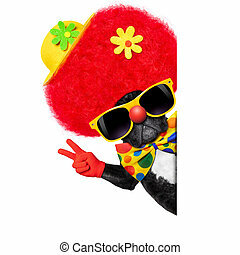 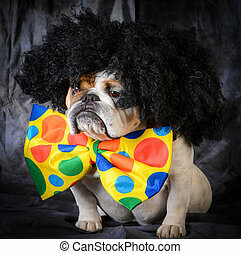 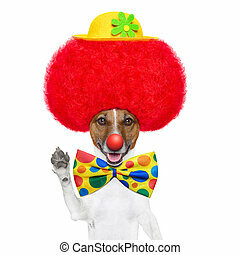 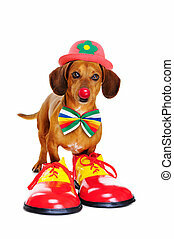 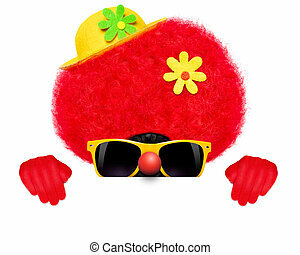 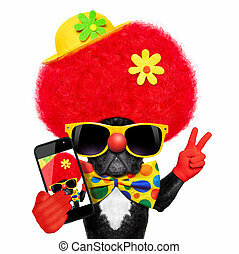 Dog clown - bulldog dressed up like a clown with purple wig. 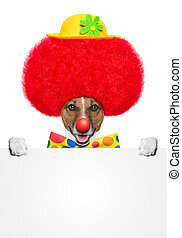 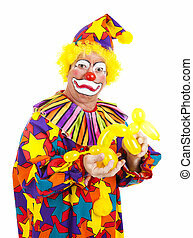 Clown is disgusted as balloon dog uses the toilet in this hand. 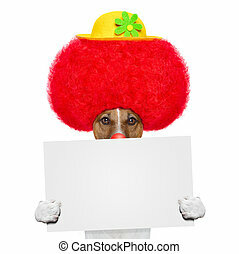 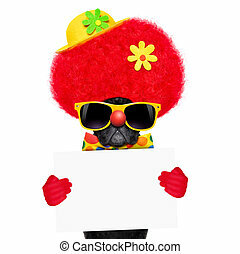 Humorous photo isolated on white.